There are many beautiful relationships in this world and it is not fair to put one above the other. However, the relationship between a brother and a sister is a very special and sacred bond that exist in our society. This sacred bond between a brother and a sister is celebrated in the form of a festival with great fervour in India as- "Rakhsha Bandhan". Raksha means Protection and Bandhan in this context means a Knot, so Raksha Bandhan means a "Knot of Protection". 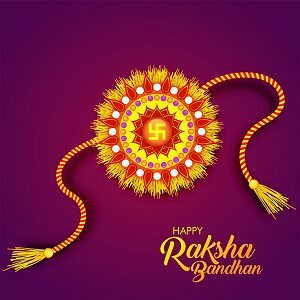 On Raksha Bandhan, a sister ties a sacred thread called "Rakhi" on the wrist of her brother and prays for his well being and victory over all the adversaries that he encounters in his life. The sacred thread of Rakhi is actually a 'prayer of protection', decorated with the love and affection of a sister for her brother. In return, a brother too takes a vow to protect his sister from all evils in her life. Every year the festival of Raksha Bandhan is celebrated on the Poornima Tithi of the Shukla Paksha (Full Moon date of the Waxing phase of the Moon) of the holy month of Shrawana or Sawan. Sisters offer sweet to their brother after tying the Rakhi on their wrists and the brothers also give them presents as a gesture of gratitude. This year (2018), the festival of Raksha Bandhan will be celebrated on 26th August. One of the most popular legends comes from the Mahabharat Era and that is of Lord Krishna and Draupadi- the wife of the five Pandavas. It is said that on Makar Sankranti, Krishna cut his little finger. Watching Krishna bleed profusely, Draupadi immediately cut off a part of the loose end of her sari and tied it on his finger. Moved by this gesture, in return, Krishna promised to protect her. Krishna's help to Draupadi was immortalized in scriptures, when the Kauravas tried to disrobe her, she cried for help to Krishna and by a divine intervention, her sari kept on getting extended endlessly until the sinful attempt to disrobe her was stopped. When Yama, the God of Death did not visit his sister Yamuna for a long time, the river Goddess sought help from river Goddess Ganga. Upon a reminder about his sister by Ganga, Yama decided to visit Yamuna. Being overjoyed by her brother's arrival, Yamuna prepared a bountiful feast for Yama and tied a Rakhi to his wrist. Yama became extremely happy and asked his sister what she wanted as a gift. She said that she wants her brother to visit her soon. Moved by his sister's love, he blessed her with eternal life, and so Yamuna, the longest and the second largest tributary river of Ganga, flows tirelessly today. When demon King Bali, an ardent devotee of Lord Vishnu, asked the Vamana incarnation of Lord Vishnu for protection, Lord Vishnu did it under the disguise of Bali's doorkeeper. Meanwhile in Lord Vishnu's abode Vaikuntha, his wife Goddess Laxmi missed him. So, she disguised herself as a woman seeking shelter and approached Bali, who opened his palace doors for her. She being the Goddess of wealth, prospered Bali’s home. 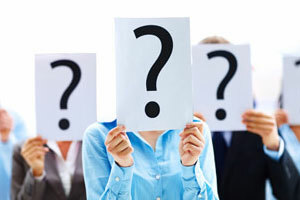 King Bali, overwhelmed by the prosperity that his kingdom got, asked the woman (Goddess Laxmi) that what does she want? Goddess Laxmi tied a sacred thread (Rakhi) onto Bali's wrist and told him that his doorkeeper is none other than Lord Vishnu Himself and she would like to get her husband back. 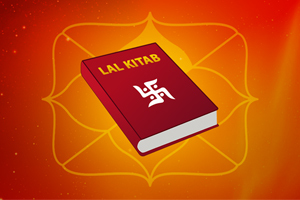 Bali happily obliged to her wish and both Lord Vishnu & Goddess Laxmi blessed him and went to their abode Vaikuntha. Which colour Rakhi should the sisters tie on the wrists of their brothers? 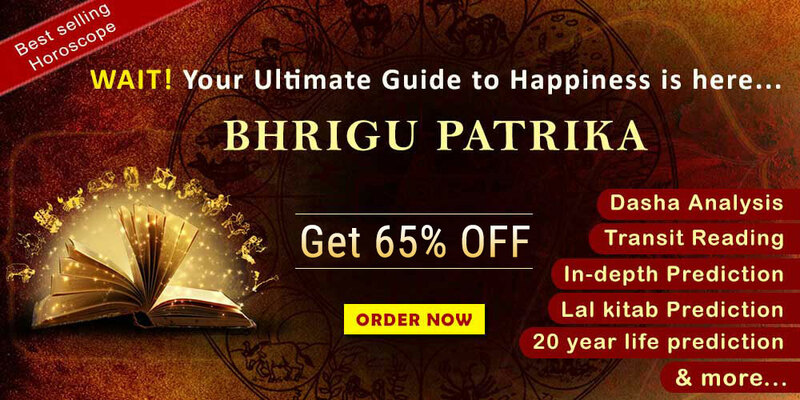 If a sister ties a Rakhi whose colour or type is in harmony with that of the Ascendant of her natal chart, then that Rakhi is considered to be extremely auspicious for her brother. 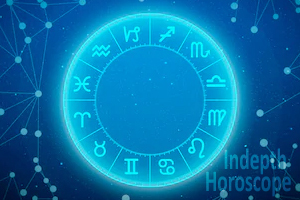 What is astrological significance of Raksha Bandhan in 2018? A very auspicious sign is occurring on this Raksha Bandhan. For the first time in many years, on this Raksha Bandhan, there is no influence of Bhadraa (a period not considered auspicious for Raksha Bandhan). This Raksha Bandhan will also be free from eclipse and the celestial position is such that there is a Raj Yog (a positive planetary alignment) being formed on this day. It must be noted that Rahu Kaal (period influence by planet Rahu & not considered auspicious) will be from 4:30 PM to 6 PM on Raksha Bandhan and one must avoid tying Rakhi during this period. Apart from Rakhi can be tied at any time during the day. To summarize, Raksha Bandhan is a festival popularly known to celebrate the love between brothers and sisters, who may or may not be biologically related. So, bask into the glory of Raksha Bandhan and celebrate this pure bond of love between a brother and a sister!